Last week I posted about dyeing my own elastic after I’d seen the post from Made by Dana. 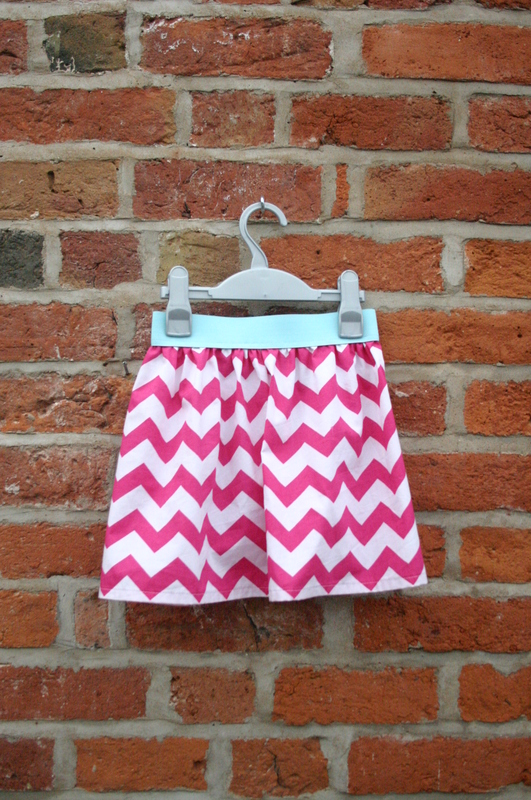 Well, this week I have been using it to make a little skirt for Charlotte…. I’m pleased as punch with it. The dyed elastic looks so fab and much sweeter than plain old white elastic don’t you think? I used one width of some chevron fabric I bought whilst in Australia and joined the two selvedges with a french seam in homage to the Great British Sewing Bee! I then made a small hem that I also top stitched in place. 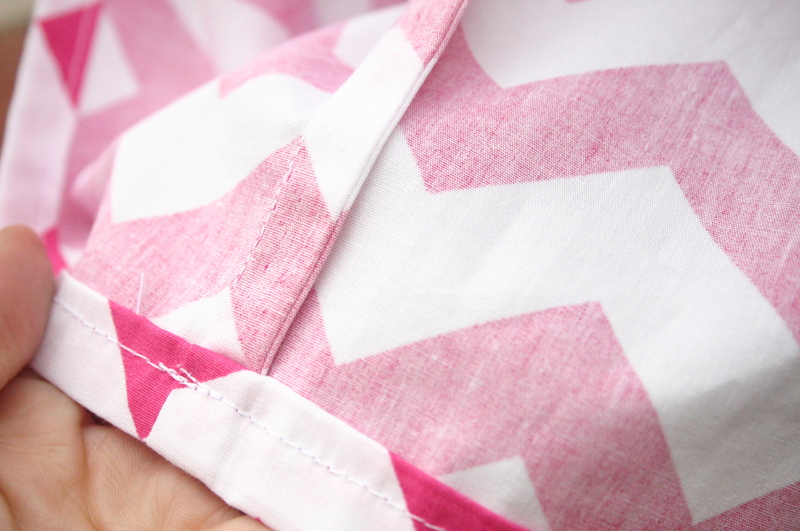 The slightly frustrating thing about this fabric is that the pattern is off grain…that is the chevron doesn’t run straight across the grain. I did cheat and trimmed a little off the edges so that I could get the pattern to run parallel and I could have a nice neat finish to the skirt…talk about picky!